The Serenity trilogy is all about '94 charm. 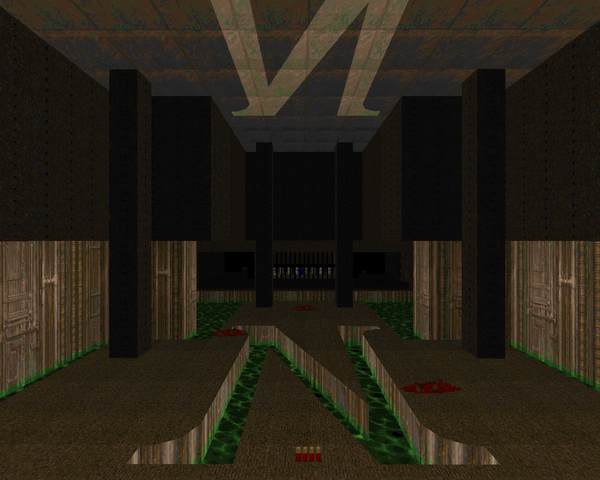 The levels are incredibly divorced from the standards we hold modern maps to, like your Back to Saturn Xs or even Doom the Way id Did, which sought to mimic the attributes of the original Doom. They feel more like someone just having fun than the super-professional design I see in the kickass projects released today, which truth be told the Moellers were much closer to. Things get interesting after Infinity; all my glances at what Nathrath made post-Doom and all of what Hermans published on his own reveal two very capable, imaginative authors. I can hardly believe that they were made by the same two crazy guys, but they did, and now I have to sit and wonder just how awesome Serenity IV would have been. 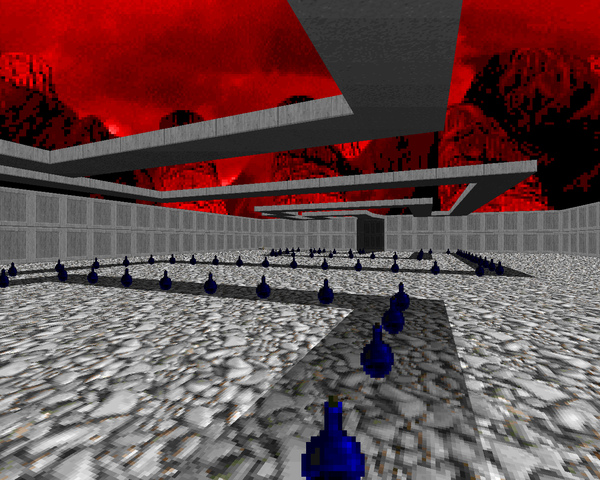 Serenity is the shining example of what players like me love about abstract early level design (excepting "Big Time"). It doesn't hold a candle to the polish of the Invade series, released the same year, but it's a great way to dip your toes in to the world of '94. Just, uh, don't try to play these through with pistol starts unless you're a fan of scavenger-style play. They look to be played through as one continuous experience. Perhaps the weakest of the trilogies from a gameplay standpoint, this E3 replacement is still loaded with goofy hooks like the movie theater in E3M2 or all the crazy staircases of E3M6. The best map of this set is probably the finale, with its stained glass windows and an offered decision, the easy way or the hard way (and an early barrel puzzle). 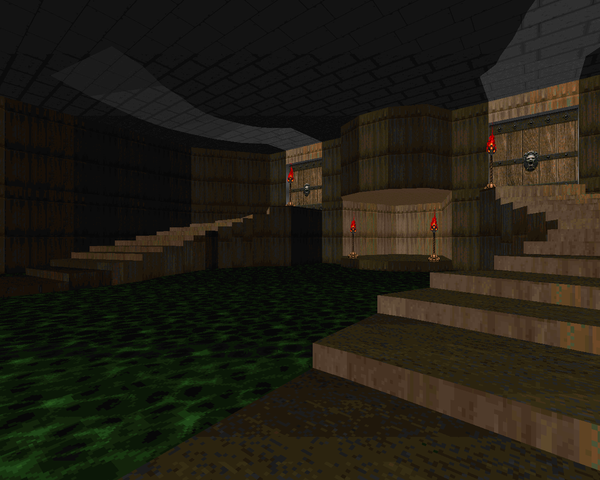 There's no real theme to the level set, though it does use a lot of wood textures. None of the Serenity levels can really be pegged as having a particular aesthetic. Well, besides '94. There's a big step up in the quality of texturing and architecture for Serenity II. It's also a bit harder and poorly balanced, outrageously so in cases like E2M8, which has no weapons placed inside. Green is the color that dominates Eternity, whether it's marble, green tech, or pools of nukage, though the outliers are quite different. 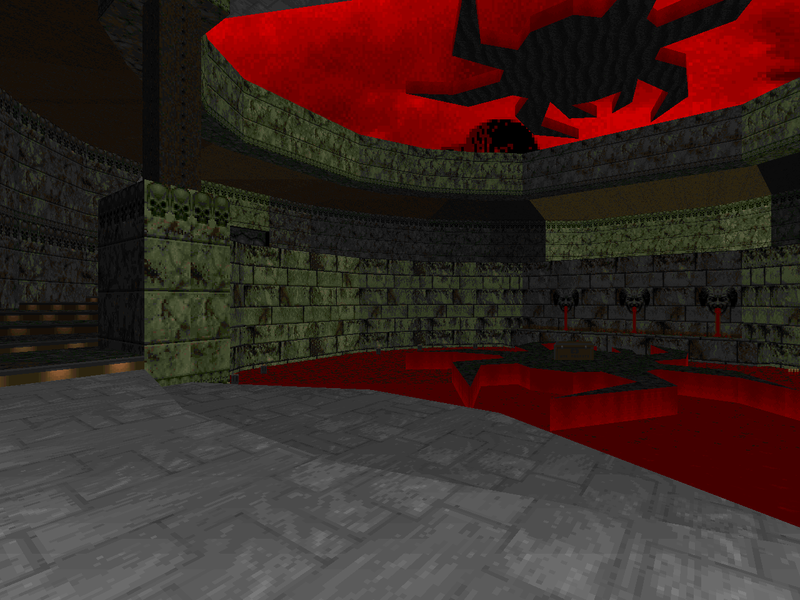 It's still '94, rarely resembling anything like Doom's faux-locations, but things are coming together that make the maps seem less like abstract playgrounds. 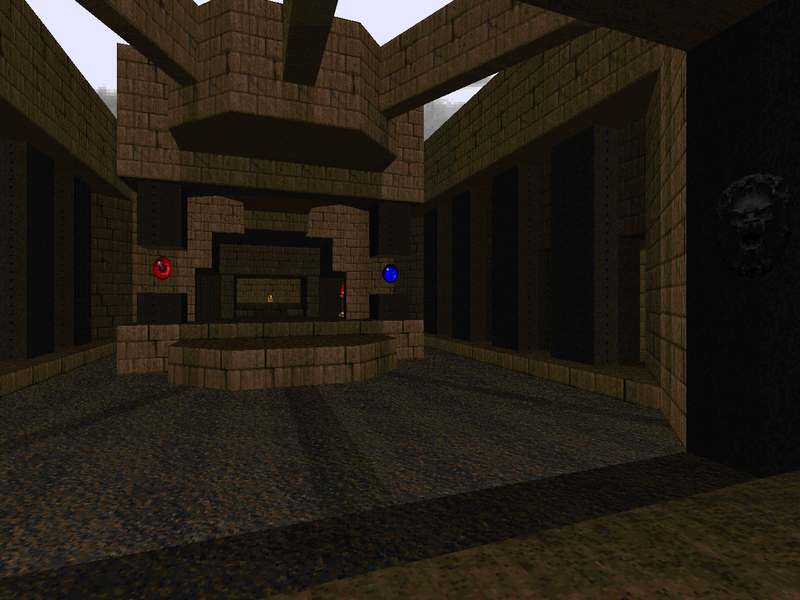 Infinity is the culmination of Holger Nathrath's Doom mapping career, featuring a glut of levels that combine the free-spiritedness of Serenity with the architectural standards of Eternity. It's still got its fair share of mazes and monster-blocking lines that make things easy on the player, but it's fairly well-balanced. The only misstep is E1M8, where shotgun guys fire from behind the same glass windows as Serenity's E3M8. It's still a pretty solid play and a great way of closing the Serenity trilogy. Arachna is Bjorn Hermans's first stab at authorship, with Holger taking the role of the editor. It also comes in two flavors - Doom and Doom II. Holger immediately shows a very strong sense of creativity with a neat layout and some nice features like the finale room with the enormous spider floor. It's a pretty good level, though the Doom edition tends to drag without the SSG. As far as I can tell, it wasn't meant to be part of their Serenity Doom II megaWAD, but its positive reception was a strong motivator for his self as a contributor. 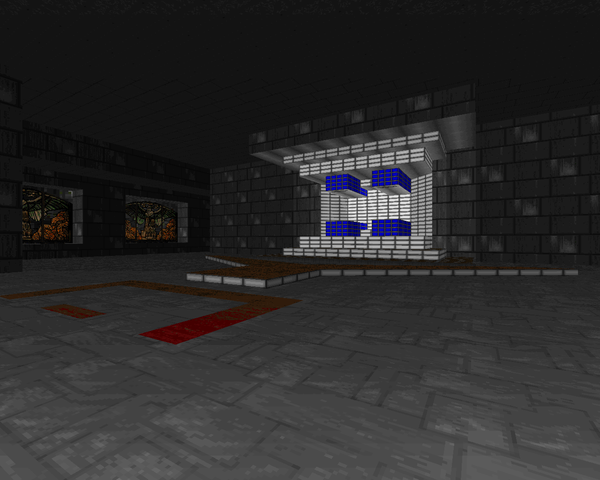 The one original Doom II Serenity level, also by Hermans. It's a cool, small map that's part marble and part brown base with a huge trident motif and lots of playing with light and shadow, pointing at things to come, like his (much later) MAP28 from STRAIN. Hermans's experience shows as he sets up some memorable if not exactly taxing encounters and, well, it's just a small, cool level, definitely worth a play. 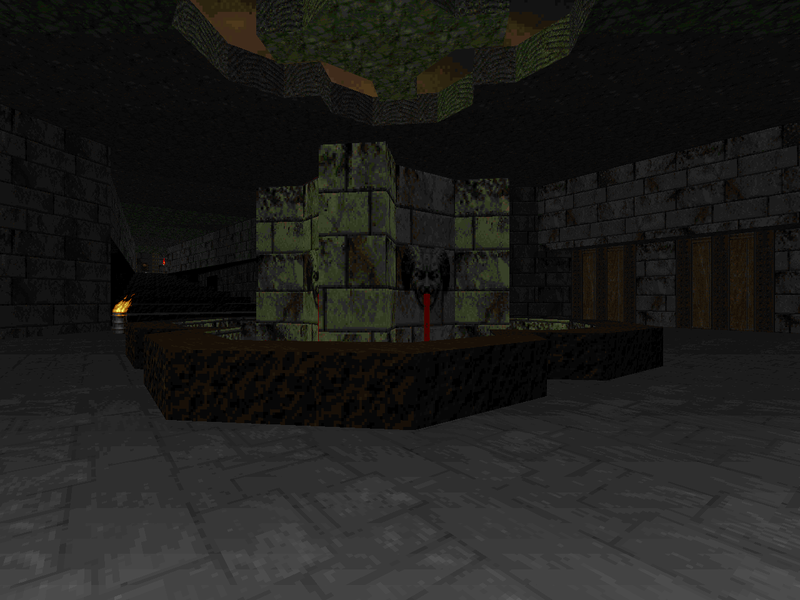 One of the few glimpses into Nathrath's Serenity for Doom II level development. This map got shopped around to a few projects, but never really found a home; Sam Woodman published it independently, crediting its author. 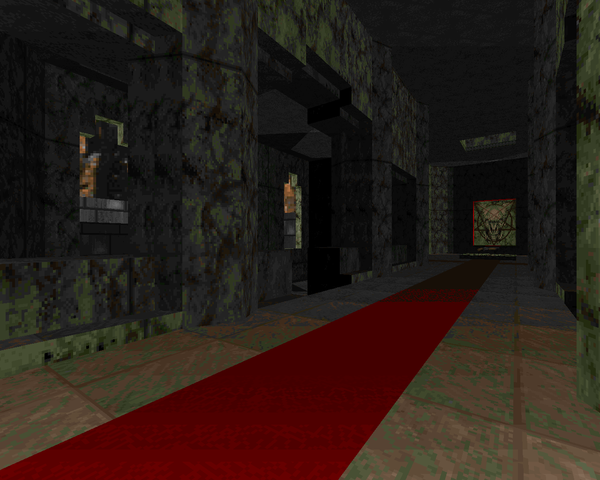 It's a very tough and very brown Doom II level with lots of great architecture and some neat areas. Actually, it's more Serenity than I'm letting on, as it doesn't have a rocket launcher or plasma rifle despite ammo for both. It's still playable. You might want to play through the normal levels to it, though. 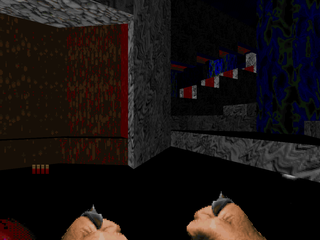 Three Serenity IV levels were contributed to STRAIN - Holger Nathrath's MAP17, 26, and 32, all of which were edited after the fact. I have a decent idea what parts of MAP17 belonged to him, namely that huge enemy gauntlet leading toward the exit, but 26 and 32 are...less clear. Hermans provides what I believe are two original compositions, but still show how promising the cancelled Serenity project would have been. Interesting to note is that the updated versions from author's website were released on same day. I wonder if someone can replace the old versions from idgames archive with the updated versions. Or at least the reviews on this site could be updated to mention the more updated versions from the author's website, the only problem being we don't know what were the exact changes they did. I only noticed this recently when I downloaded the wads from idgames and then I decided to check the wads from the author's site to check if there's anything different and indeed there was, so I decided to stick with the more updated versions. I hope the reviews of Serenity, Eternity and Infinity will be updated to mention this.